As tools and software evolve, so do we. With every new advancement, our construction projects become more precise, streamlined and cost effective. Our team utilizes several forms of technology to achieve the best possible construction experience. From building information modeling (BIM) and project management software, to cutting edge mobile solutions, we continuously exceed the needs of our project teams, owners and clients by aligning our technology with proven construction processes and experience. Our workflow is precise and effective. By using advanced construction software, we are able to deliver an exceptional construction document management experience. We link all aspects of construction drawings, specifications and project changes to create true working construction documents. This allows team members, field staff and clients to navigate and interact with the construction documents quickly and easily. The information is also security enabled so project team members see only what they need. Our efforts in technology allow our team to monitor performance, effectively manage change orders, compare actual costs against budgets, streamline RFIs, submittals and other project documentation. It’s an all in one experience, connecting and improving workflow between the project managers and accounting, to office staff and superintendents. 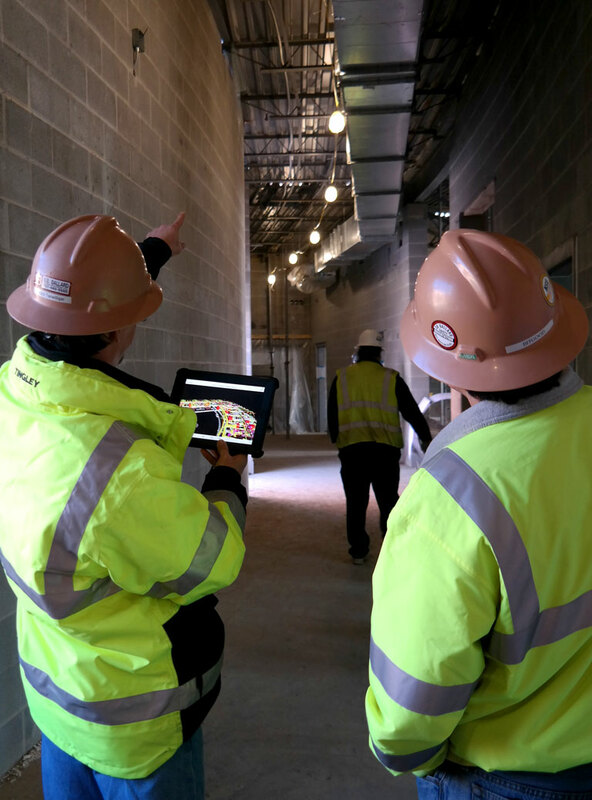 On each build, we deploy a drone to collect aerial insights to document the project progress, improve jobsite communication and for safety inspections during and after construction. Drones do more than improve communication and help keep projects on track. They also increase safety, save time and resources, fast-track surveying, and deliver accurate measurements. S.B. Ballard leverages Microsoft SharePoint for document management and as a flexible collaboration platform. We utilize SharePoint to give the project team a simple, reliable, customizable and secure solution for all project communication and information. This approach provides accountability to team members through tasks, milestones, schedules and documentation that helps keep our projects on schedule. Using this software tool, we are able to deliver an exceptional construction management experience. Our extranet environment is an evolving solution for virtual project teams to share documents and collaborate. During every build, we provide owners with an iPad enabled with this software so they can monitor their project through our SharePoint portal and allow all partners access to their project as it evolves. We link all aspects of construction drawings, specifications and project changes to create true working construction documents. This allows team members, field staff and clients to navigate and interact with the construction documents quickly and easily. Using web-based technologies and mobile devices, we are never more than a few clicks away from the right information.